Frame VR and Weerianna Street Media’s groundbreaking VR experience THALU: DREAMTIME IS NOW has its worldwide premiere at Melbourne International Film Festival on Thursday, 16 August 2018. The VR experience is also an official 2018 CinefestOz selection and will be showing at the festival on Saturday, 25 August 2018. 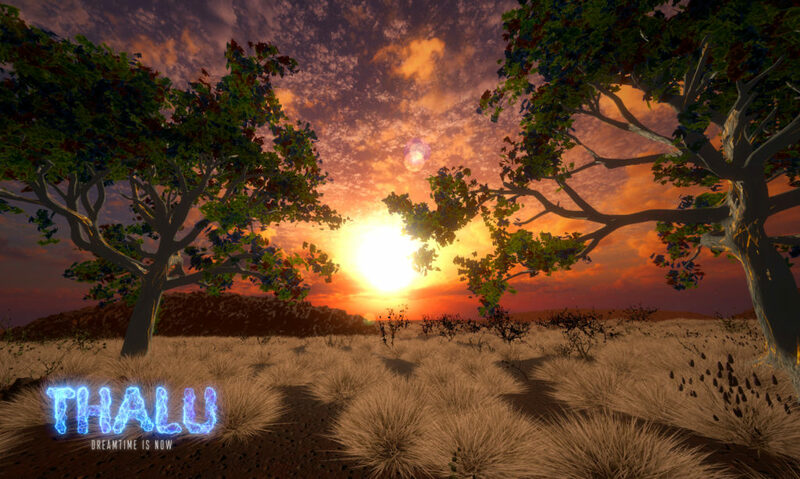 THALU: DREAMTIME IS NOW is the first ever Indigenous ‘Real Time Virtual Reality’ experience to be made in Australia. The project transports audiences into the Dreamtime stories inspired by the ancient mythologies of the ancient Ngarluma people of North Western Australia in The Pilbara. Producer Justin McArdle (IS AUSTRALIA RACIST?) first met writer/director Tyson Mowarin (CONNECTION TO COUNTRY) at a seminar called Two Worlds. The seminar connected Indigenous Aboriginal storytellers and digital media production companies from Perth. Mr McArdle continued, “Storytelling in VR presents a number of challenges. For example, VR storytelling sits at the intersection of interactive games and traditional filmmaking. There are no rules to follow both from a creative and production standpoint. Thalu, which means “totem” in the Ngarluma language, refers to ancient Aboriginal ceremonial sites. These sites are currently under threat as the modern world expands and encroaches upon ancient sacred spaces. “The inspiration for our virtual reality project always goes back for me. It goes back to our Aboriginal culture and heritage, protecting and preserving it. I’m always trying to preserve it,” said writer/director Tyson Mowarin. 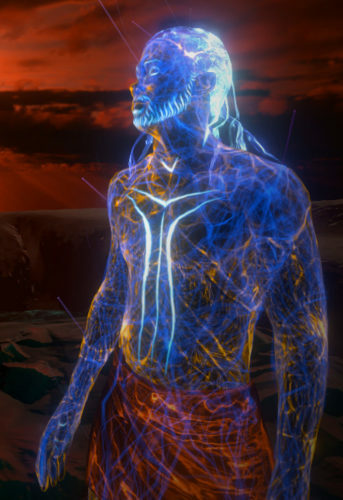 THALU: DREAMTIME IS NOW features Art Direction and Concept Art by acclaimed graphic novel and VR artist Stuart ‘Sutu’ Campbell (DOCTOR STRANGE). The Rock Art (petroglyphs) featured in THALU are based on the Rock Art of the Burrup Peninsula, some of which date back 40,000 years. Follow Frame VR on Facebook, Twitter, Instagram and YouTube to stay up to date with THALU: DREAMTIME IS NOW.